Following the death of three miners in the Turamdih uranium mine in Jharkhand on 28 May, the Coalition for Nuclear Disarmament and Peace (CNDP) has accused the Uranium Corporation of India Limited (UCIL) for flouting safety measures and putting the lives of workers at risk. Three workers lost their lives and nine were injured in a major accident at the Turamdih uranium mine near Jadugoda in Jharkhand on 28 May. Criticising the UCIL for functioning under non-transparency and unaccountability, the CNDP has demanded an independent probe into the accident as well as compensation for the deceased and the injured. "We support the demand of the workers and the local community that an independent probe into the accident must be initiated, and the deceased and injured must be immediately and duly compensated," the CNDP said in a statement. According to the CNDP, the local community and the larger civil society has been raising voices against the safety procedures in UCIL for decades, claiming the company has been comprising with safety measures and employing contractual workers routinely in dangerous work in brazen violation of standard norms. "The criminal negligence and contempt for the surrounding population, which is mostly Adivasi and poor, is shocking. Toxic and radioactive waste is left in open tailing dams and uranium ore is transported in open vehicles. A number of peer-reviewed studies have shown high incidence of radiation-borne diseases in the area. India's present nuclear regulator, the Atomic Energy Regulatory Board(AERB) is entirely unequipped and ineffective owing to its non-independence," the CNDP statement read. 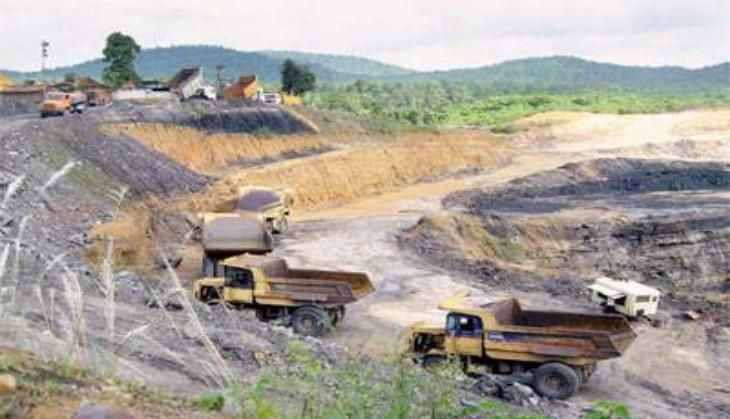 The CNDP has also demanded that the government must put a moratorium on expanding the uranium mines and initiate an independent enquiry into safety and radiation affects in Jharkhand, involving environmental experts, labour unions and the civil society.